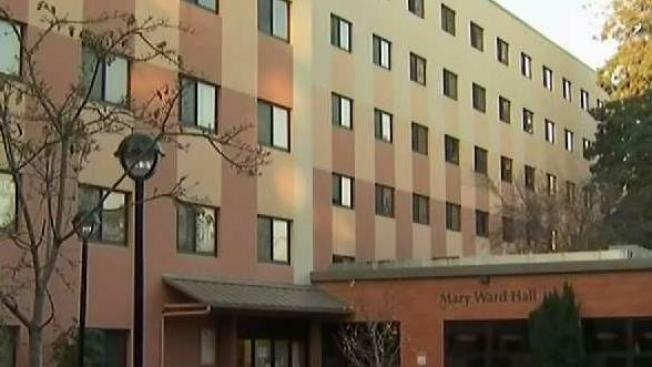 A student was allegedly assaulted inside a residence hall at San Francisco State University Tuesday afternoon, according to the university. Pete Suratos reports. A student was assaulted inside a residence hall at San Francisco State University Tuesday afternoon, according to the university. The attack occurred around 4:15 p.m. inside Mary Ward Hall, according to the university. Arriving authorities had to force entry into the room on the sixth floor and found the 18-year-old suspect choking the 19-year-old victim. The victim was transported to the hospital with serious injuries, including lacerations to his upper body, but the university said he is recovering. Students who talked to NBC Bay Area said they didn't know the victim, but they were still shaken. "Anytime you see something like that, it just reminds you that life is really fragile and it makes it kind of scary to realize that something like that can happen to someone on our campus," student Shea Stanford said. The suspect, who has been identified as Samuel Mark Splinter, was taken into custody in connection with the attack and faces charges of assault with a deadly weapon that was not a firearm, first degree burglary and attempted murder, according to public records. It is not yet clear what led up to the assault.